Welcome to our new Boat Lift Parts page. We are in the process of adding the most common parts to this page. In the mean time, please call, text or email for parts and prices not listed. The BH-USA Single V Pipe Support, many have tried to copy our unique “twist” that allows installers to adjust the support after it is installed! Designed for installations where the pipe is in the center of the slip. Hot dipped galvanized and has a unique twist feature designed by BH-USA. This “twist” in the flat piece of steel allows the installer to have some adjustment in the actual sleeve when trying to line the supports up for the pipe. 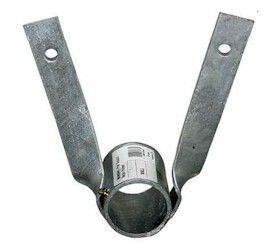 This pipe supports are easy to hang and comes with a grease zerk to help eliminate friction in the lift. Installation: Center Only Accepts the standard overhead 2” ID 2/3” OD drive pipe. Mounting hardware not included. 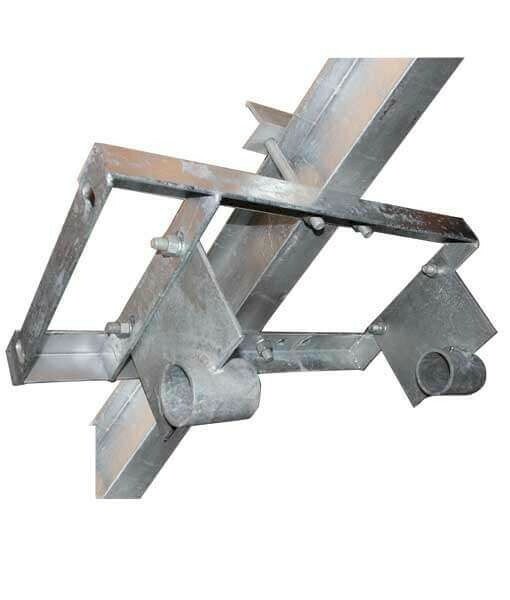 The Galvanized Heavy Duty “V” Pipe Support are heavy duty center mounted drive pipe supports for wood joists or wood beams. Hot dipped galvanized steel. The adjustable twist in the design of steel allowing the installer to adjust the sleeve when lining up the supports and the drive pipe. Easy-to-reach grease fittings eliminate friction. Beefed up version of the basic drive pipe supports. Accepts 2″ ID / 2 3/8″ OD drive pipes. Does not include mounting hardware. 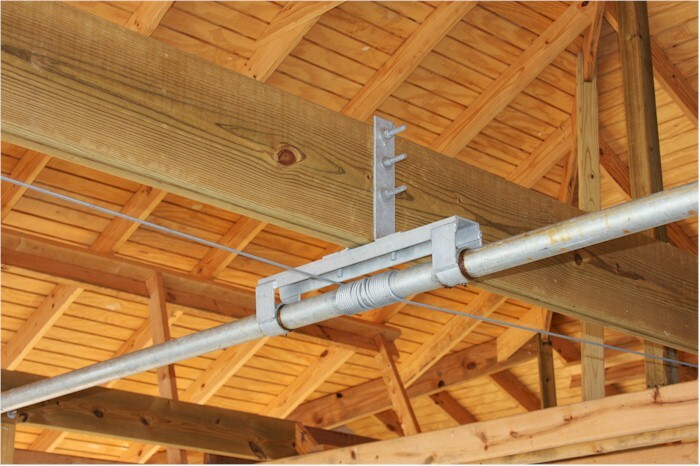 The Wood Center Mount Galvanized Dual Pipe Support is designed to mount on overhead wooden beams or joists. Supports stamped and laser cut. Off-set grease fitting gets grease to the bearing surface. Equipped with twin adjustable brackets and multiple bolt locations with 18″ of cable wrapping surface area. Fits overhead 2″ ID schedule 40 drive pipe. Pre-set pipe supports measured to line up with the hoist with minor adjustment needed. 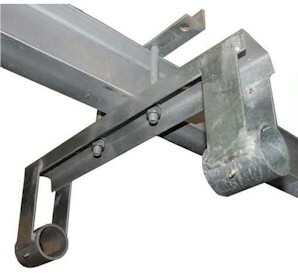 Includes hanger, (2) L-Brackets, and hardware to install L-Brackets. Oversized sleeve reduces friction and ensures better load distribution. Fully adjustable brackets. Handles any size beam up to 16″ wide beams and BH-USA cable winders will fit. Recommended for virtually any overhead lift application. Individual sleeve keeps the pipe from walking up the side of the sleeve. 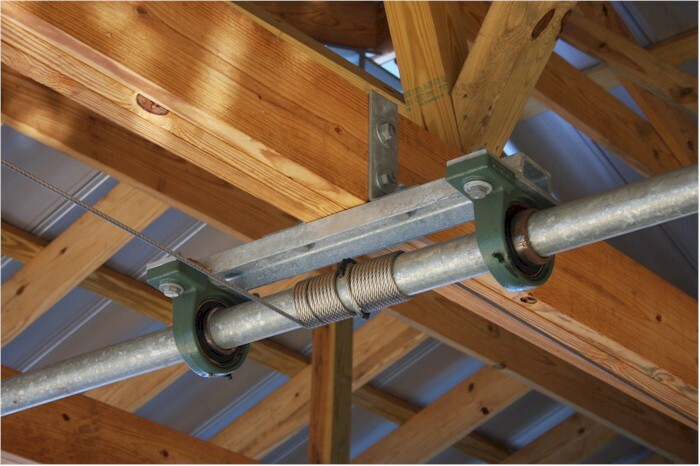 The Wood Side Mount Galvanized Dual Pipe Support is designed to mount on overhead wooden beams or joists. Supports stamped and laser cut. Off-set grease fitting gets grease to the bearing surface. Equipped with twin adjustable brackets and multiple bolt locations with 18″ of cable wrapping surface area. Fits overhead 2″ ID schedule 40 drive pipe. Pre-set pipe supports measured to line up with the hoist with minor adjustment needed. 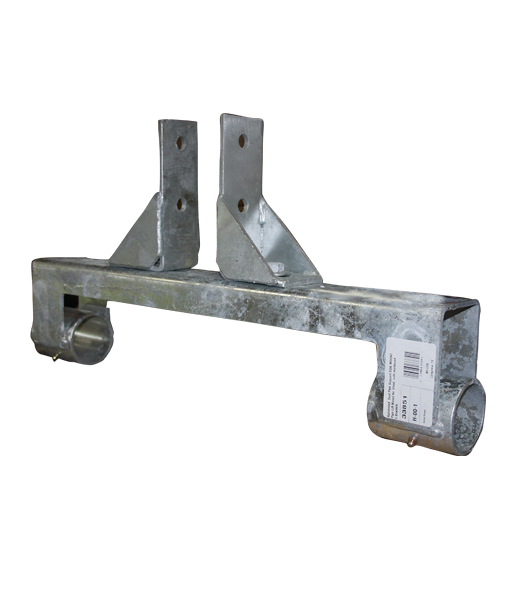 Includes hanger, (2) L-Brackets, and hardware to install L-Brackets. Oversized sleeve reduces friction and ensures better load distribution. Fully adjustable brackets. Handles any size beam up to 16″ wide beams and BH-USA cable winders will fit. Recommended for virtually any overhead lift application. Individual sleeve keeps the pipe from walking up the side of the sleeve. 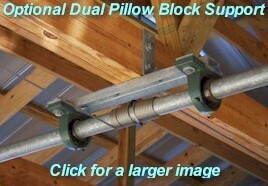 The Dual Pillow Block Pipe Support with pillow blocks attached is the ultimate support for any center mount boat lift. 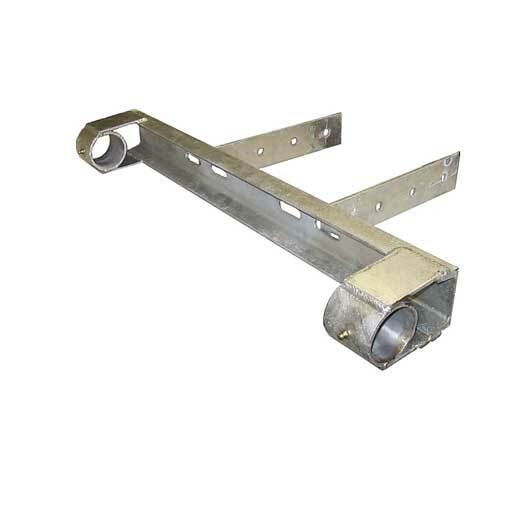 This pipe support will mount to virtually any overhead wood beam with the adjustable brackets. 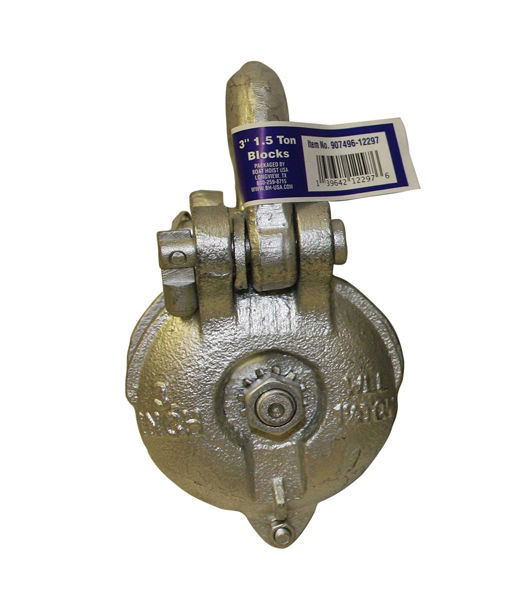 They have two 2-7/16” cast iron ball bearing pillow blocks, eliminating friction that can be created when using other pipe supports with standard sleeves. Your lift will operate smoothly and quietly for years. It will give the pipe needed support on both sides of the cable, greatly reducing the chance of the unit getting into a bind. Add an optional cable winder and make lifting your boat smooth and easy. Installation: Center Pipe Lift only. Mounting hardware not included. The Center Mount Galvanized Dual Pipe Support is designed to mount on steel and sandwiches the entire beam without having to drill into the beam. Hardware included. Hot dipped galvanized steel. Lowered sleeve designed to line up with steel mount hoist hanger. Individual sleeves for pipe preventing walking up the sleeve side. Over 19″ between each sleeve allowing room for an optional cable winder. 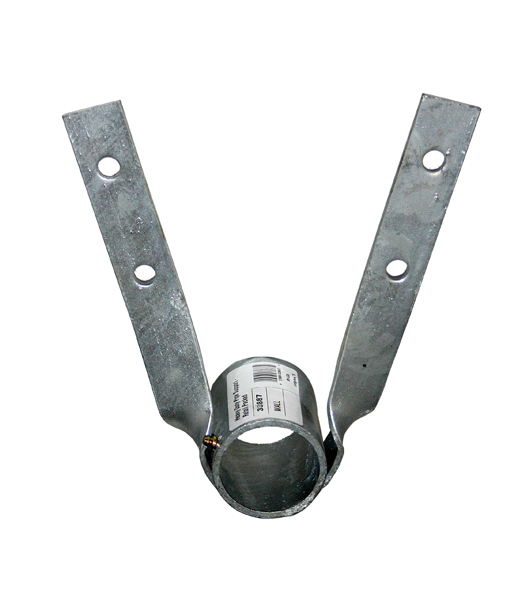 Designed to mount on steel I-beam, tubing, or channel. Easy-to-reach grease fittings. 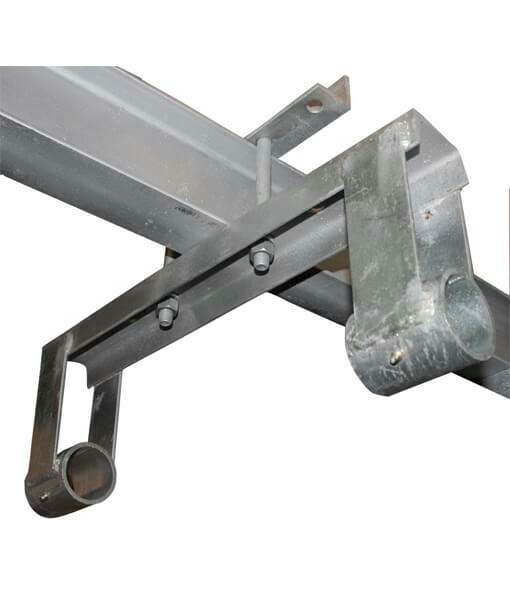 The Flat Plate Steel Mount Hoist Hanger has an adjustable frame with build in drive pipe supports. Cable winders will fit in between the drive pipe supports. Requires no drilling or welding to install. 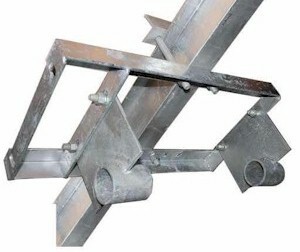 Mount clamps to I-beam or channel. Designed for center mount or side mount. Must be used with accompanying steel mount pipe support. Hot dipped galvanized steel. Hardware included. 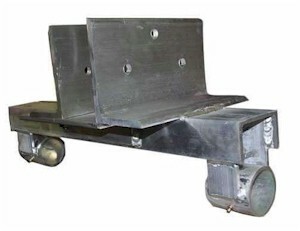 The Wood Mount Aluminum Dual Pipe Support is designed to mount to a wood joist or wood beam up to 10″ thick that is running perpendicular to the boat. Made from 6061-T6 marine grade aluminum. 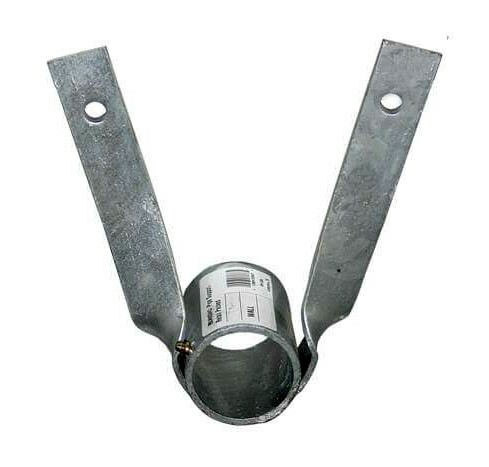 Features oversized pipe sleeves that help with load distribution and reduces friction build up. Easy-to-reach grease fittings. BH-USA Aluminum Cable Winders will fit the pipe support. Accepts overhead lift standard of 2″ ID drive pipe. Does not include fasteners to bolt to wood beam or wood joist. 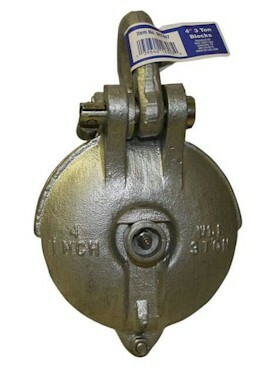 The BH-USA 3″ 1.5 Ton Ball Bearing Block are grease-able blocks. They are also simply the best block available for any overhead lift application that requires blocks. 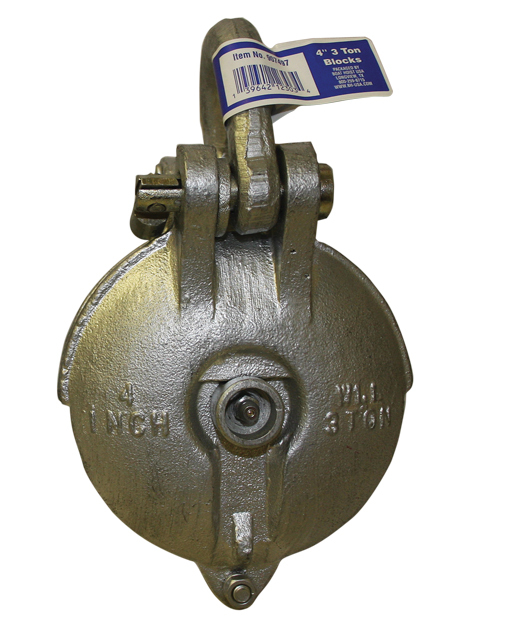 The blocks are hot-dipped galvanized, grease-able, ball bearings, breakaway shackle, and a raised stamp rating. Meet all industry rating requirements for the perfect installation. The ball bearings also eliminate friction. Maintained using the easy to reach grease fitting. The breakaway shackle also allows easy replacement or installation without having to uninstall the cable. The hot-dipped galvanized coating also far exceeds the standard zinc plating found on most blocks. 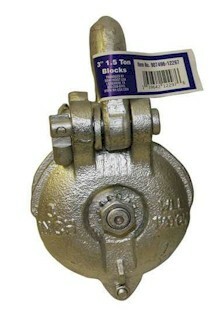 The 4″ 3 Ton Ball Bearing Block is simply the best block available for any overhead lift application requiring blocks. Hot-dipped galvanized, grease-able, ball bearings, breakaway shackle, and a raised stamp rating. Meet all requirements for the perfect installation. The ball bearings also eliminate friction. Maintained using the easy to reach grease fitting. The breakaway shackle also allows easy replacement or installation without having to uninstall the cable. The hot-dipped galvanized coating also far exceeds the standard zinc plating found on most blocks. The raised stamp rating also meets industry rating requirements. The ball bearing blocks only weighs 5 lbs! The blocks also ship directly from BH-USA. The Elite .75 HP Painted Boat Lift Motor is the industry work horse and preferred by professional installers. Standard Duty Single Phase motors are 56 frame mount and feature a totally enclose, non-vented housing (TENV). The Elite 3/4 HP Boat Lift Motor is compatible with BH-USA, ACE, Hefty Hoist, AMS and American Power Hoist belt driven flat-plate hoists. 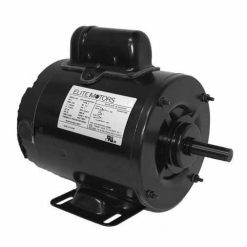 Motors are completely enclosed so pests and dirt cannot get into the motor. The 3/4 HP boat lift motor is a UL rated dual voltage motor. Also, the Elite Motors Paint Boat Lift Motor are a direct replacement for the, no longer available, AO Smith boat lift motors. Wired motors come with a new 2” pulley. “Motor Only” does not include the 2” pulley or any wiring. Compatible with any boat lift reversing style drum switches and is endorsed by GEM remotes as the preferred boat lift motor to use with GEM remotes. 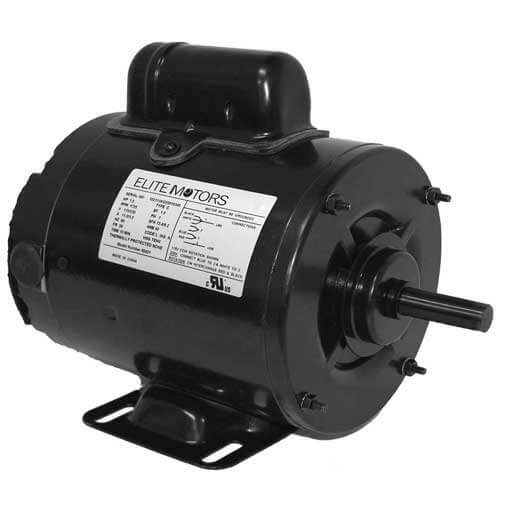 Elite 1 HP Painted Boat Lift Motor are single phase dual voltage motors. They have a totally enclosed, non-vented housing (TENV) to prevent dirt and insects from entering. Elite Motors is the only electric motor manufacturer to design a motor specifically for the boat lift industry. The Elite 1 HP Painted Boat Lift Motor is a direct replacement for the no longer available AO Smith Boat Lift Motor. The Elite motors are standard NEMA 56 frame will mount to any flat-plate hoist. Also, easy to follow wiring diagrams are included. If your switch, voltage and cable length and we will wire and test the motor before it ships. Wired motors include the 2” drive pulley. The Elite Boat Lift Motors are the only boat lift motors endorsed by GEM Remotes. The Elite 1 HP Heavy Duty Boat Lift Motor is the strongest 1 HP boat lift motors available with a strong 1.25 SF. The Elite 1 HP Heavy Duty Boat Lift Motor is a single phase, dual voltage motor. The 1 HP Boat Lift Motor comes with a totally enclosed, non-vented housing (TENV). Elite Motors is the only electric motor manufacturer to design a motor specifically for the boat lift industry. The Elite 1 HP Heavy Duty Boat Lift Motor is a direct replacement for the no longer available AO Smith boat lift motor. The Elite Boat Lift Motors are standard NEMA 56 frame, and will mount to any flat-plate hoist. Motors come with easy to follow wiring diagrams are included or select your switch, voltage and cable length and we will wire and test the motor before it ships. The wired motors include the 2” drive pulley. The Elite Boat Lift Motors are the only boat lift motors endorsed by GEM Remotes. The Elite 1 1/2 HP Painted 56 Frame Boat Lift Motor features a totally enclosed, non-venting (TENV) enclosure, NEMA enclosure rated, and UL listed. Single phase, dual voltage motor with 56 frame mounting for belt driven flat plate hoists. 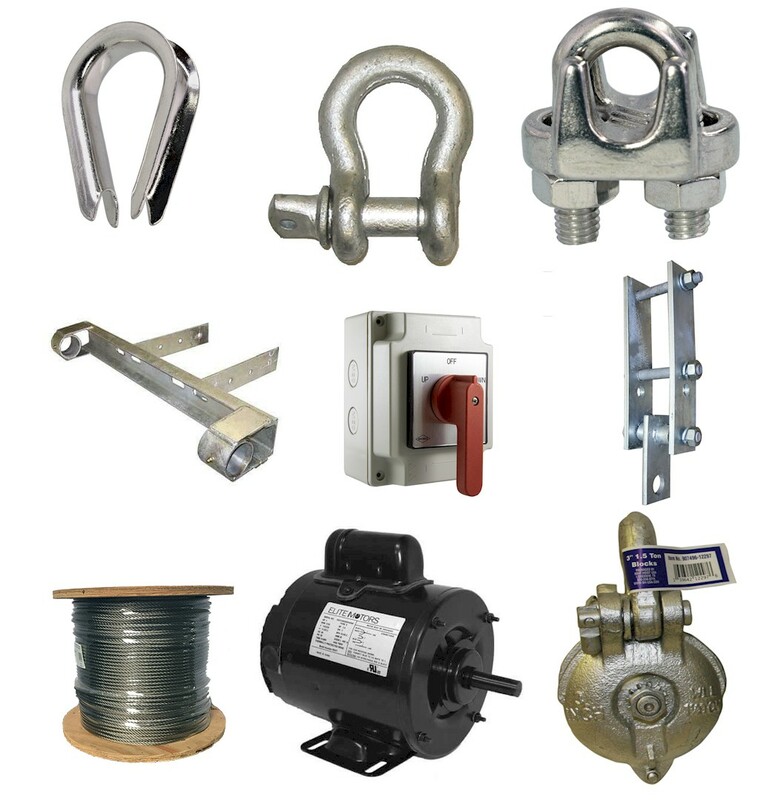 Compatible with BH-USA, ACE, Hefty Hoist, AMS and American Power Hoist belt driven flat-plate hoists. Easy to wire directions come standard in the box. Does not work on direct drive mount hoists. Wired motors include the 2″ drive pulley. Stock wired motor is 16′ cable. Longer cable options are avaiable but take 3-5 days to ship. All motors wired to 220/230 volts from the factory. Motor only option does not include 2″ motor pulley, wiring harness, or switch and can be rewired to 110 volts to fit your existing switch. BH-USA recommends using a licensed electrician to wire or rewire any electrical component. The Leeson 1.5 HP Boat Lift Motor has a totally enclosed, non-vented housing (TENV). The enclosed housing (TENV) helps to prevent dirt and insects from entering. This enclosed housing improves the life of the motor. The Leeson Boat Lift Motor is NEMA, UL listed and CSA approved. 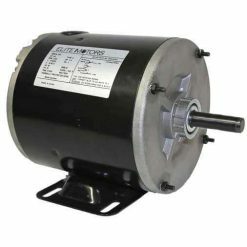 The 1.5 HP Motors are Standard Duty, Single Phase Capacitor Start, 56 frame motors compatible with BH-USA and most other flat-plate, belt-driven hoists. Also, the motor comes with easy to follow wiring diagrams. If you select your switch, voltage and cable length and we will wire and test the motor before it ships. Wired motors include the 2” drive pulley either single or a double pulley for the larger 8500 lb hoists. 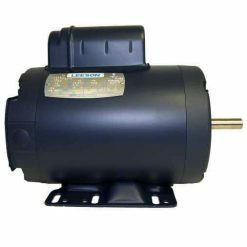 The Leeson 1.5 HP Boat Lift Motor are special build motors and are made per order, please allow up to one week for wired Leeson Boat Lift Motors.